We've been so lucky to meet so many great creatives through Instagram in the last few years. It's such a powerful resource for connecting us with the people who see the world the way we do! 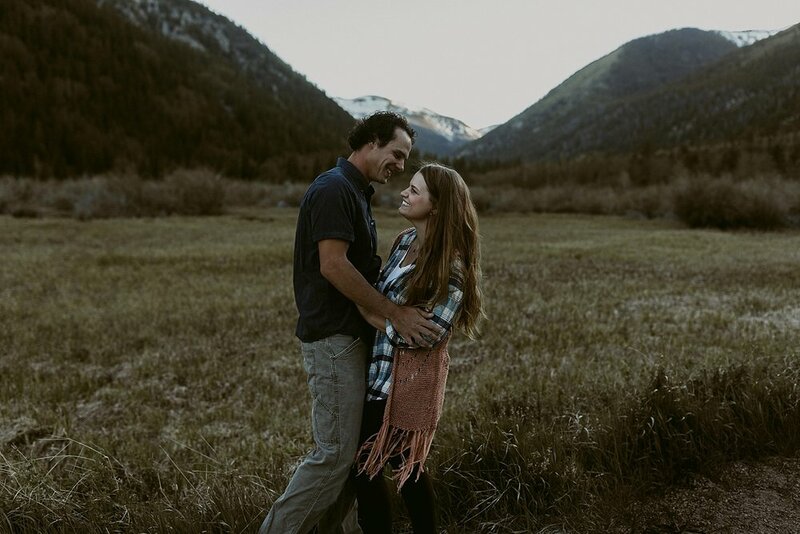 That's how we met Chelsea + Lyn, these camper-dwellers from southern Ohio who are living the rocky mountain life in a beautiful campground in Colorado right now. We obviously bonded over our love of alternative living, travel, adventure and mountains! We were on our campervan tour, heading through Buena Vista and these two just happened to be on our route! They saved us a campsite and we met at their camper-home just before sunset. Lyndon + Chelsea live a beautifully tiny, big life on the road. They invited us in, made us pancakes, offered us beer and then took us for a true mountain drive in their Land Rover. We headed up a private road as far as the Rover would go and hopped out to get to the top of the ridge where we could see all the peaks surrounding the valley and their little camper below us! Lyn kept saying he didn't know where the best light would be for photos but he knew this view couldn't be beat. We laughed and wandered until the last bit of amber light fell behind the peaks and then we finished the evening with dinner cooked over the campfire. We've never had a more authentic experience getting to know strangers than with these two! And what a beautiful home they have!